Craving a trip to Florida in February? If you’re a journalist, the Mayo Clinic has you covered. 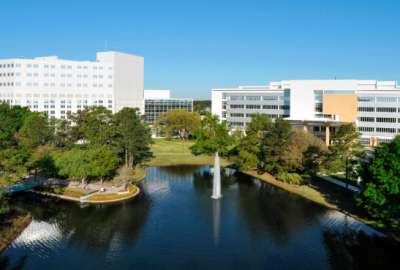 Once again Mayo is extending an offer to educate health care journalists, this time with what it’s calling a “residency” scheduled for Feb. 24-28 at the Mayo Clinic in Jacksonville, Fla.
We’ve often written about the credibility issues that arise when journalists accept training sponsored by organizations they cover. While other industry players — including pharmaceutical companies, Coca-Cola and alcohol manufacturers — have sponsored health care journalism training programs, Mayo may be the most persistent example. While these events may have presented useful information for journalists, they also afforded Mayo an opportunity to put its own hand-picked speakers in front of a captive audience of journalists and promote its high-tech, high-cost procedures. More significantly, they posed a conflict of interest for journalists that seems difficult to justify. In its latest offer of a journalist “residency” — a term borrowed from medical training that might be perceived as an attempt to make journalists feel like they’re part of the health care team — Mayo seems to be trying to alleviate some ethical concerns. However, we think journalists still ought to say no to this offer. Here’s why. Mayo says journalists can “personalize” part of the program. Regardless, the content and the speakers will be selected by Mayo, not by journalism educators or journalism professional organizations. While there may indeed be some valid science education going on, it’s also clear that Mayo uses these occasions to steep journalists in PR messages. Mayo’s surgery “residency” in 2017 included a visit to the clinic’s proton-beam therapy center, a telemedicine demo, and a tour of its genetic sequencing lab. The Cronkite School didn’t respond to requests for comment on the potential conflict of interest of having a health care organization sponsor a health care fellowship. Don’t be fooled. Like other not-for-profit health systems, Mayo is a business. With $ 12 billion in annual revenue and a CEO who gets $ 3.2 million in compensation, it’s laser-focused on selling tests and treatments, preferably to patients with generous insurance coverage. In the 2000s, Lieberman wrote that Mayo learned it could attract scores of profitable patients by sending canned “stories” featuring its own physicians to local TV stations, which agreed to link to Mayo on their web sites. In another questionable arrangement, Mayo inserted its name into a sports news segment. 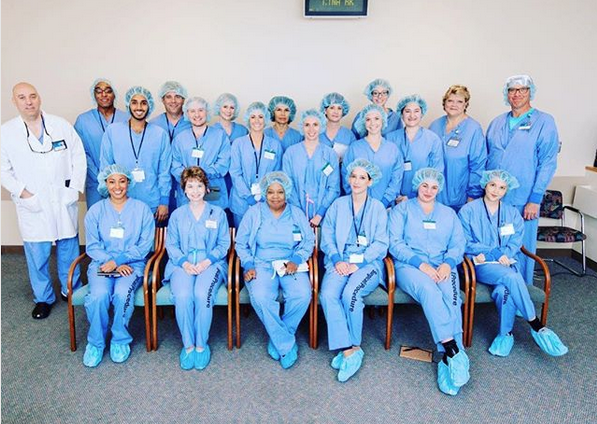 An Instagram photo shows journalists wearing scrubs as part of Mayo’s 2017 “residency” program on surgery. Free travel, housing, meals, and education certainly seem to fall into these ethically dubious categories. Regardless of who pays, Mayo is providing something of value: a credential. Mayo handed out diplomas to journalists at its 2017 program, and some journalists have included their participation in Mayo training events on resumes or LinkedIn pages. Mayo’s email to NASW members says there are “no story obligations.” Still, news coverage can be affected in ways that might not benefit consumers. Journalists are always in search of story ideas, and this event positions Mayo to pitch stories that serve its interests. It amounts to “three days of press releases” in the view of journalist Shannon Brownlee, who wrote the book, “Overtreated: Why Too Much Medicine Is Making Us Sicker and Poorer,” and is now senior vice president of the Lown Institute, which advocates for appropriate levels of care. “They’re trying to get journalists to write about stuff they do,” Brownlee said. It’s impossible to know how many Mayo-friendly stories have sprung from these training programs, but we do wonder about stories such as an uncritical NBC News segment on the Mayo Clinic’s pioneering of a “personalized” approach to repairing abdominal aortic aneurysms. It ran after the producer attended the 2017 surgery residency. As we stated in a review, the story provided no data on benefits, harms, or costs while hyping the procedure as “saving lives.” It contained no independent sources. Training programs can foster bonds between journalists and the host institutions. Another journalist for a national online publication who attended that program, who didn’t want her name used out of concern about her editor’s reaction, said it was an “amazing opportunity” to foster relationships with researchers. “I really appreciate them reaching out to the press,” she said of Mayo. Both journalists said another takeaway was a relationship with a Mayo PR staffer. “If I need a third-party opinion on a paper or whatever story I was working on, I knew I could call them,” Foley said, adding that Mayo isn’t the only group she’s reached out to for independent comment and Mayo hasn’t always provided comment. There’s nothing wrong with journalists having good working relationships with PR people, but there’s also a risk that journalists might rely on Mayo sources to the exclusion of others with more expertise but less PR muscle. We found several stories that relied heavily on Mayo sources, written in the months after a journalist attended a Mayo-sponsored training program. They included a story on a rare spinal cord disorder that appeared in the Washington Post, a USA Today story about daylight savings time and sleep, and an NPR story on a potential epilepsy drug. Would these journalists have called on Mayo for input if they hadn’t had extended exposure to Mayo’s PR team? Again, it’s hard to say. But readers might wonder. Lynn Walsh, SPJ’s ethics chair, said journalists should disclose when they run stories that stem from the content of a fellowship, although she thinks disclosure is a “blurry” area when it comes to other stories that mention the sponsor. “I think this absolutely would fall under something that could provide a legitimate conflict or the appearance of a conflict at the very least,” she said. Journalists I talked to expressed confidence that participating in a Mayo-sponsored program didn’t cloud their objectivity. Accepting something of value from a source doesn’t automatically make a journalist unethical or biased, Walsh said, but it does might raise questions in the minds of readers and viewers about the context in which a story was reported. Yet disclosure seldom seems to happen. Of stories we found mentioning Mayo by journalists who had recently attended Mayo-sponsored training, only one — an article about genetic privacy that appeared on the web site Futurism — had a disclosure. There are other places for health care journalists to get educated about the beat. For example, we offer pointers for journalists on covering specific topics and tips for analyzing medical claims. In fact, each one of our 6,000-plus reviews and blog posts published over the past 13 years contains lessons for journalists. And while we’ve criticized AHCJ’s reliance on academic research institutions for some of its funding, the organization does offer ample journalist-driven training opportunities online, via fellowship programs, and at its annual conference. Recently health care journalists have been memorializing physician-researcher Lisa Schwartz, MD, who worked to genuinely educate health care journalists about science in her role as co-director of the Center for Medicine and the Media at the Dartmouth Institute for Health Policy and Clinical Practice. Not to be overlooked was Schwartz’s concern about the influence of industry money on journalism. Her death in late November coincided with the 10-year anniversary of her paper, “Who’s watching the watchdogs?” co-written with her partner and husband, Steve Woloshin, and journalist-turned researcher Ray Moynihan. We think its cautions about industry “education” of journalists deserve a fresh read. Training and further education of medical journalists should not be funded by the healthcare industries that the journalists cover, whether the education is delivered by universities or professional associations. To avoid real or perceived conflicts of interest medical journalists should not accept from the healthcare industries they cover any awards, scholarships, gifts, travel, special treatment, or anything that could be seen as affecting what or how news is reported. Just as medical journals require disclosure of conflicts of interest, medical journalists should disclose any financial or non-financial assistance from the industry in researching or writing their stories, including identifying quoted patients and experts with ties to the industry. Conflicts of interests of sources should routinely be disclosed. Training funded by industry, special treatment, financial and non-financial assistance — all of these perils are present in Mayo’s offers to journalists. The question — Who’s watching the watchdogs? — also seems timely as HealthNewsReview.org ends its run this month. It seems we’ve been the only organization consistently writing about industry sponsorship of journalism training. There are plenty of deep-pocketed special interests in health care ready to make friends with journalists in order to get good publicity. Just who will point out these breaches of public trust when we’re gone is unclear. More than ever, it seems incumbent on journalists to police themselves. Ethics codes are no good if they don’t become part of the daily discussion within news organizations. Mesothelioma Meme 2019 – Mesothelioma Commercial are Useful?